Dragons feature in mythology the world over and popular stories today. Recent fantasy films and TV shows heavily feature the giant, fire breathing creatures that whilst dangerous, are appealing in their magnificence. Pragmatic Play’s new game featuring stunning design, free spins and loads of stacked symbols gives players a rich gaming experience. A detailed forest background sets the scene for a world of dragons and their human keeper. The soundtrack provides an impressive sense of scale, suitable for such an epic world. 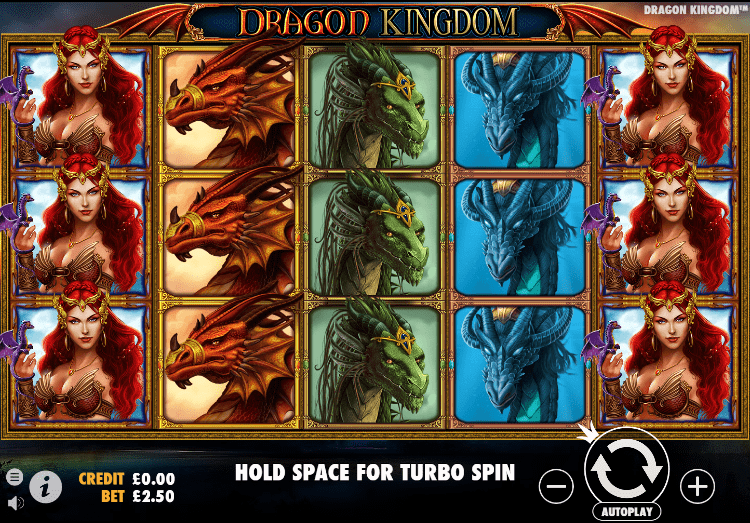 To experience the land of the dragons, place your deposit today and start spinning on Mega Reel. 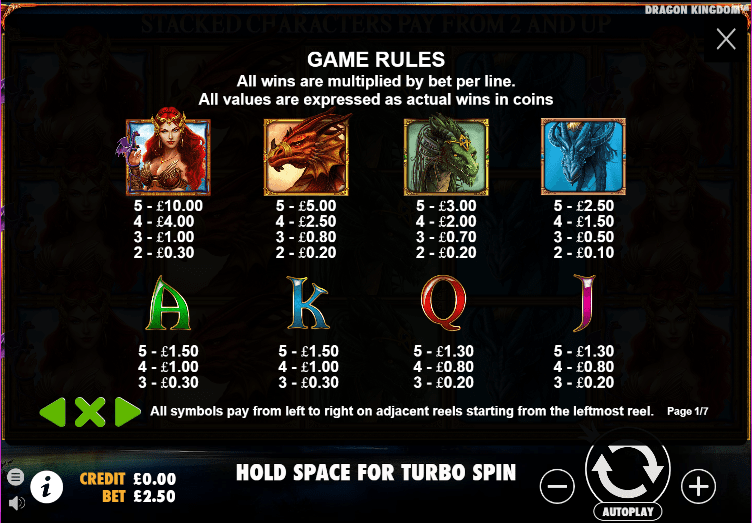 There are 5 reels, 3 rows and 25 paylines in this fantasy themed slot game from Pragmatic Play. A bold design concept, stacked symbols and free spins sets this game apart from other similarly themed games currently on the market. The low value symbols are a J, Q, K and A that are designed to look like stone broaches trimmed in gold. The higher value symbols are a set of 3 dragons, each with a distinct colour scheme. There is also the female dragon keeper, or perhaps queen of the dragons. She is the highest paying symbol, and along with the dragons, always comes stacked. The wild is the game’s logo, which transforms into a dragon if it forms part of a winning line. The scatter symbol depicts a stone archway, through which you can see dragons flying in the distance. Landing 3 or more of the scatter symbols awards you with free spins. Though you’re granted with up to 5 free spins, you are able to land up to a consecutive 3 more rounds of free spins. Before the free spin rounds start, you are given the chance to choose one of the symbols, which will come with a multiplier of your choice.